This chess tournament is open both to players attending the Caveman Chess Camp and to non-campers! The tournament is great for area players, or for campers who will be in a day early. 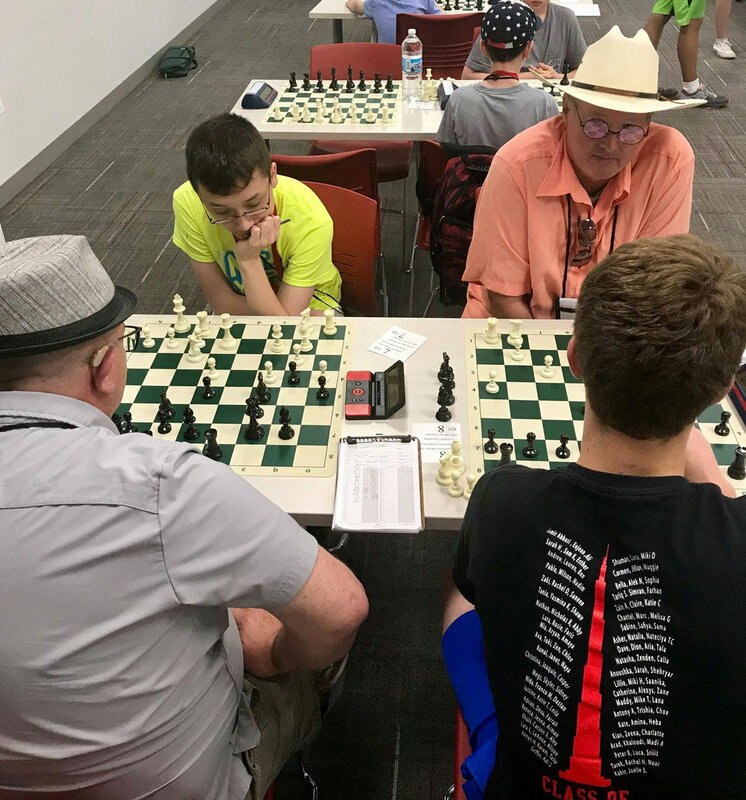 It is a one-day USCF event with two sections, and it is a US Chess Junior Grand Prix event! Rounds/Time Control: 4 rounds in two sections, with a time control of G/61 with a 5-second delay. Registration/Check-in: 9:00 am – 9:45 am. Rounds: 10:00 am, 12:45 pm, 3:00 pm, & 5:45 pm. Round times for rounds 3 and/or 4 may be advanced if results permit. One half point bye available for any round except round 4 if requested by end of registration. June rating supplement used. $60 received after 6:00 June 21st, or on-site. Cash or credit card. $1,050 prizes based on 30 entries, minimum 2/class: $250-$175-$125-$100. $45 Received after 6:00 June 21st, or on-site. Cash or credit card. $500 prizes based on 30 entries, minimum 2/class: $150-$125-$75-$50. Class E, F&Below or Unrated: $50. Advanced tournament fee is non-refundable after June 21. Watch this area for additional information on meals. There are many restaurants within a 3 minute drive or short walk. We are also working to have meal options on-site. No smoking. No computers. The site is wheelchair accessible.